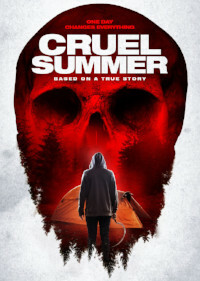 Based on a horrifying true crime, and set to be one of the most topical films of first quarter 2018, the harrowing (Projected Figures), "Cruel Summer" premieres on VOD Feb. 27 from Wild Eye Releasing. Danny, an autistic teenager, is bullied and tormented by a group of thugs after he ventures into the woods alone for a camping trip. Their rage against him is based on lies spread by a local girl, who claims Danny committed a crime against her that he had nothing to do with.